How was your day today? Mine was pretty typical: work, errands, bills, headaches and more work. Then I checked the mail and all kinds of awesome happened! How did that big box come out of that little mail slot?! 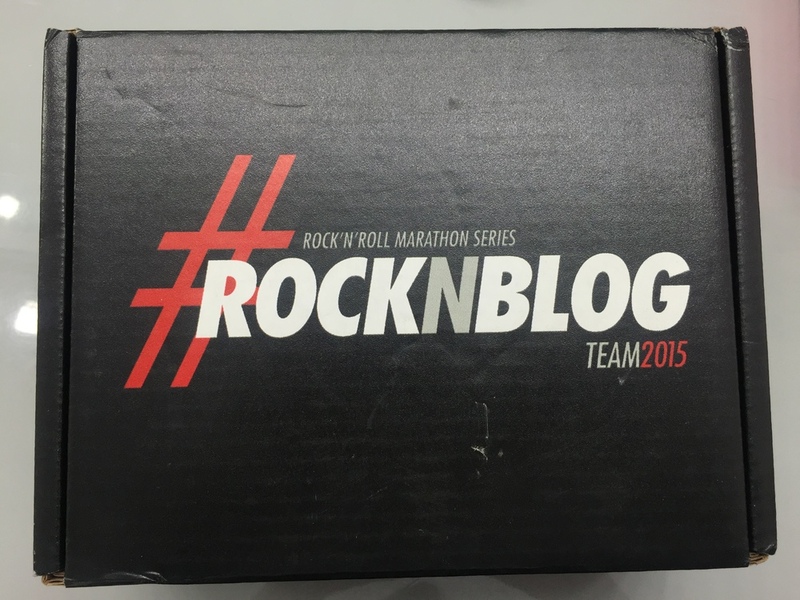 Each member of the Rock 'n' Roll Half Marathon Rock 'n' Blog team received this sassy little box filled with legit training goodness from a variety of sponsors. I was so excited I ripped it open before I got back in the house! The very first thing I saw when I opened the box was this little note. Although little in size, this note was huge in heart. Written specifically to me by our fearless #RocknBlog leader, the note made me smile from ear-to-ear! She is an amazing sweetheart, blogger wragler and GIF ninja! Even with all she has to juggle she found the time to arrange this and write us each notes. Amazing. Next up: A handy dandy guide to all our new training gear and tools! I am loving EVERYTHING in this box! The Brooks tech tee and hat are perfect for the summer weather, and you know I love my CEP Compression socks for long runs! I am a CEP addict! The Nature's Path Qia will offer up the protein and carbs for pre or post run meals and the Transamerica cell phone charger will make sure I can listen to music while I Tweet and run! 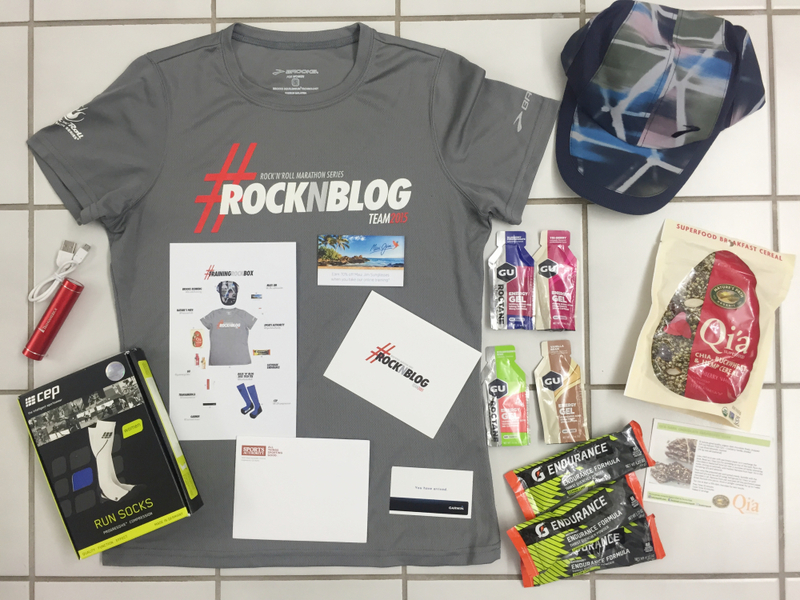 The Sports Authority gift card and discount codes from Maui Jim and Garmin are super generous, and I look forward to testing and sharing the Gatorade & GU with all my running buddies. Being part of this passionate team has meant so much to me! I have met so many interesting and run crazy people from all over the world who share the same love of fitness and traveling as I do. We encourage each other, share stories and tips and make each other laugh really hard. All of their blogs are so fun and inspiring to read! If you don't know us yet, please meet us now! Mizuno Wave Enigma 5 Review: Plush is the word.